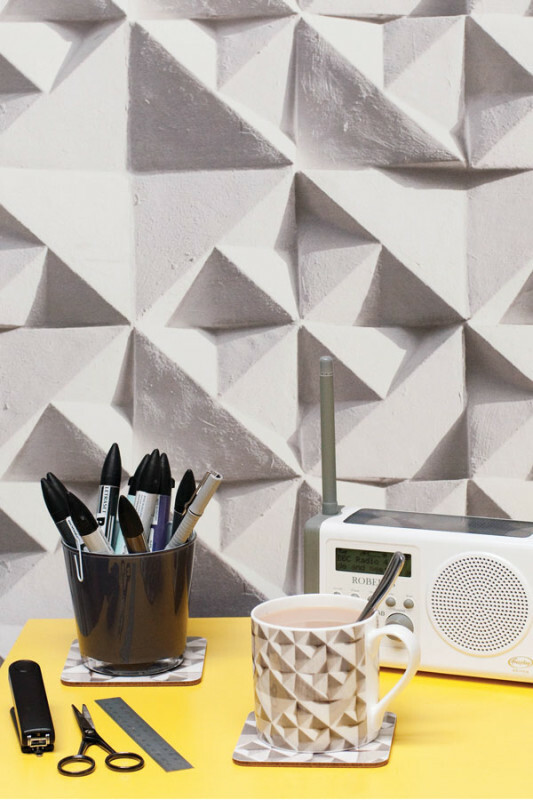 From recycled acoustic installations to intricate tile mosaics, the latest wall coverings are innovative, functional, and downright stylish. 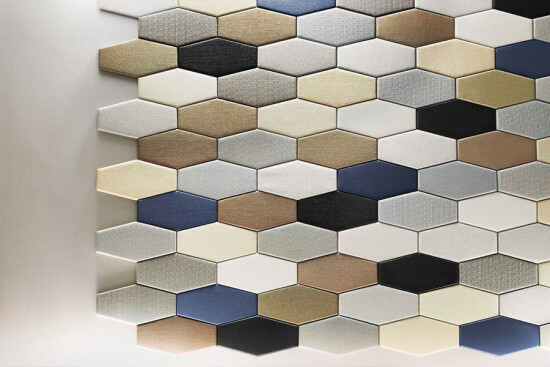 This high-performance wall paneling is available in over 200 colors and textures, with four different panel shapes that are each available in three sizes. Each panel is individually upholstered by hand using sustainable materials. The amount of highly personalized combinations allows for a range of uses in both residential and commercial spaces. Akdo’s expertly cut marble tiles allow the veining on each piece to perfectly align with each other to create the illusion of a seamless line that looks folded like traditional Japanese origami. 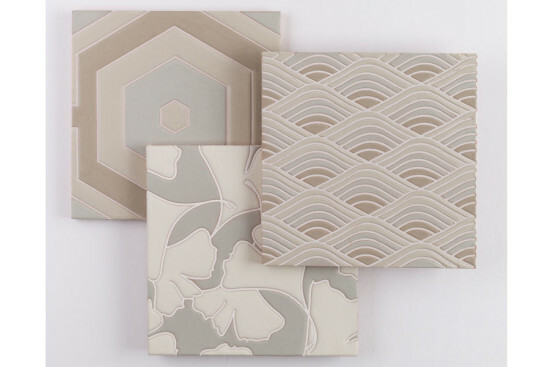 The patterns are offered in a choice of four warm taupe or cool gray colorways. Hand painted on 70-percent recycled clay tiles, the Sakura Collection displays subtle earth toned hues that are derived from traditional Japanese landscapes, including patterns that resemble mountains, tortoise shells, and river rocks. They are available in eight-by-eight and six-by-twelve sizes. 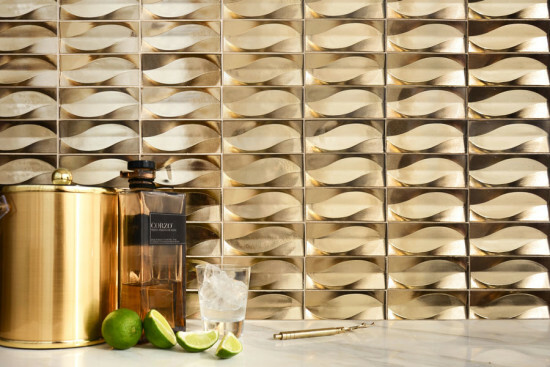 Inspired by the Byzantine technique of placing gold pieces at certain angles to reflect light, the New Leaf tile mosaic is available in four color ways of metallic glass: platinum, rose gold, champagne gold, and gunmetal. 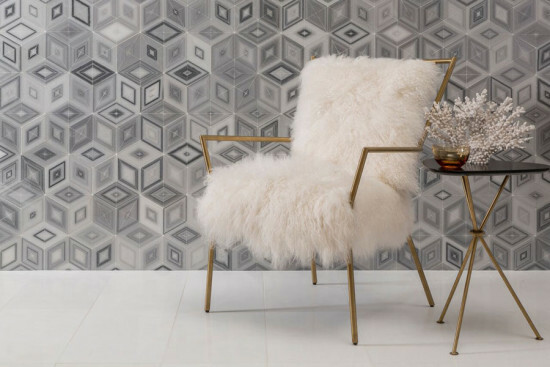 In addition, the collection has two other modern mosaic designs inspired by the landscapes of Italy crafted in Italian marble. 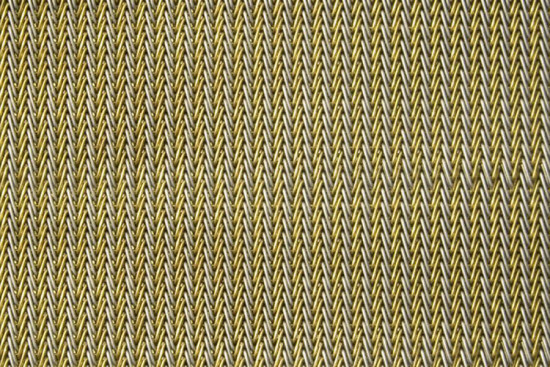 Cambridge is known for its architectural mesh; it has recently released two new patterns, including a “tweed” mesh made with stainless steel and brass that resembles the weave of a classic wool overcoat—so much so that it has been used in several lounges for British Airways. Part of a larger collection of hyper-realistic photo paper by Ella Doran, this print is intended to capture texture and sunlight on solid architectural surfaces and adds a touch of glamour to smaller spaces without the bulk of using actual stone.